Beer has been flowing at P.J. 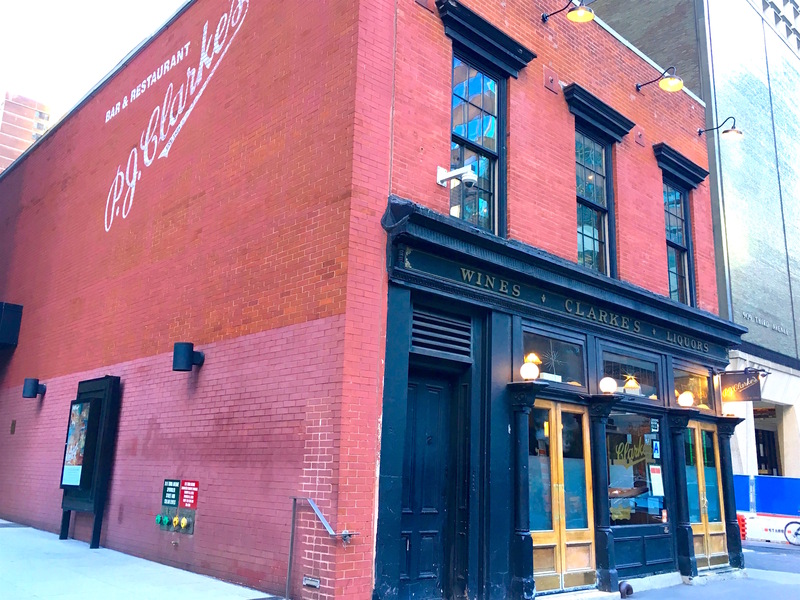 Clarke’s on Third Avenue and 55th Street since Chester Arthur was president. And while the place looks spiffier than it has in recent years, it’s still one of those old-school saloons that kept its Gilded Age decor, like stained glass, amber lights, and a pressed tin ceiling. There’s another old New York relic P.J. 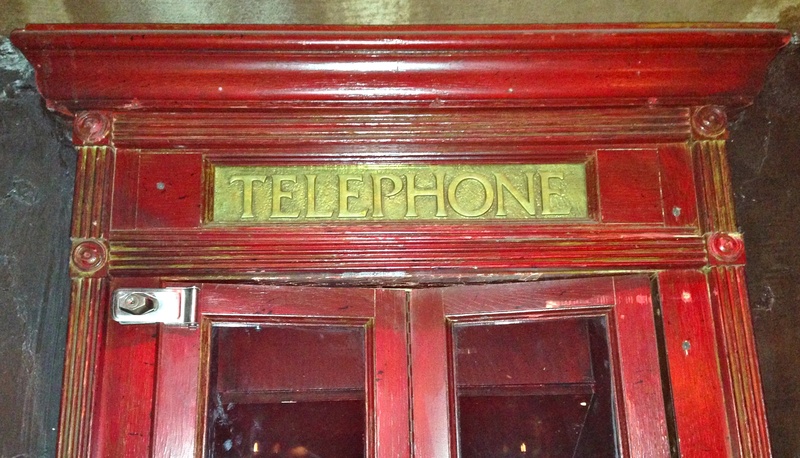 Clarke’s appears to have held onto: the bar’s wooden phone booth. Way back in the dinosaur era of payphones, every public place had one: a phone booth with a hinged door and small stool a person would tuck themselves into to make their call out of earshot. 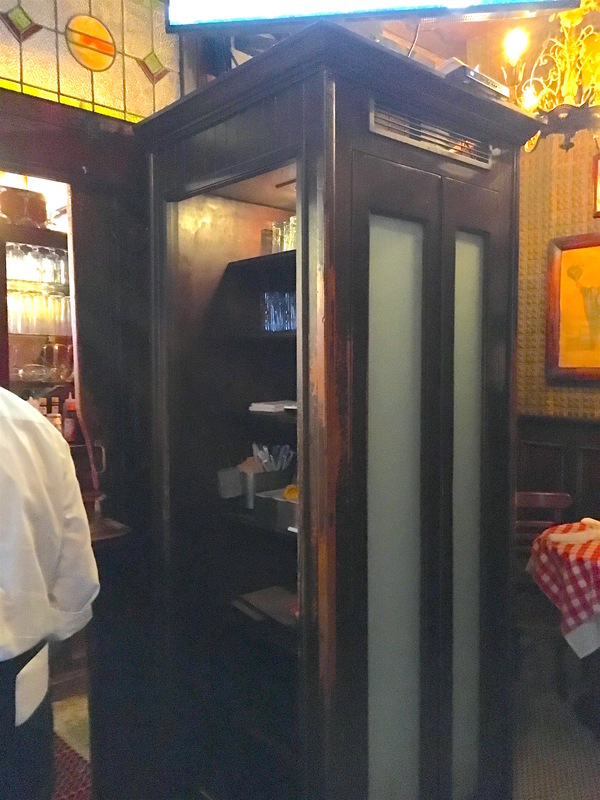 While the phone itself and the seat are no longer in the booth at P.J.’s, the booth itself is still there beside the end of the bar—only now it’s used to store glasses and napkins. Not convinced that this casket-like space was a phone booth? Check out how similar its shape is to these, spotted at the Park Avenue Armory in 2010, and this one, at Bill’s on 54th Street, ID’d in 2015. 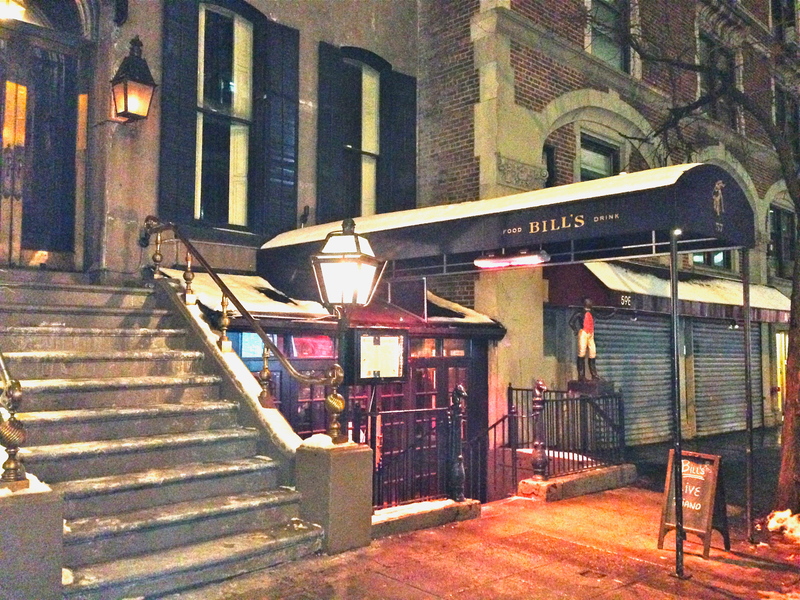 After an 88-year run in a townhouse on East 54th Street, Bill’s Gay Nineties closed in 2012. The shuttering of the former speakeasy turned saloon and restaurant was a big loss for New Yorkers who love a time warp and a mahogany bar. Reopened and rechristened Bill’s, it’s a cleaned-up version of the old place, with much of the same decor, framed old photos, and finishings (and the silver dollars long embedded into the floor). 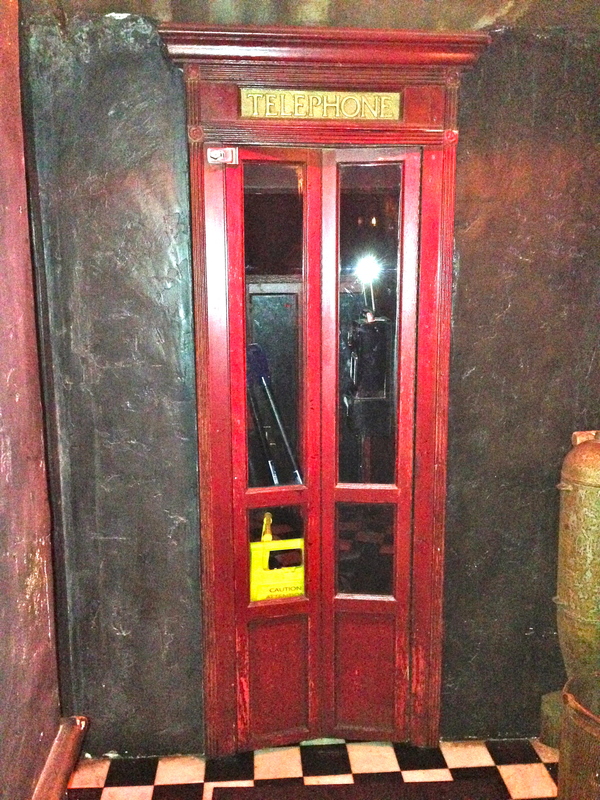 And luckily, the old wood telephone booth (with a phone with separate coin slots for quarters, dimes, and nickels!) off to the side of the front doors is still in place as well. Sightings of wood phone booths are rare in Manhattan, so it’s a relief that this one wasn’t turned into a coat check or closet. But why in the world does the staff keep one of those yellow wet-floor warning signs in there?